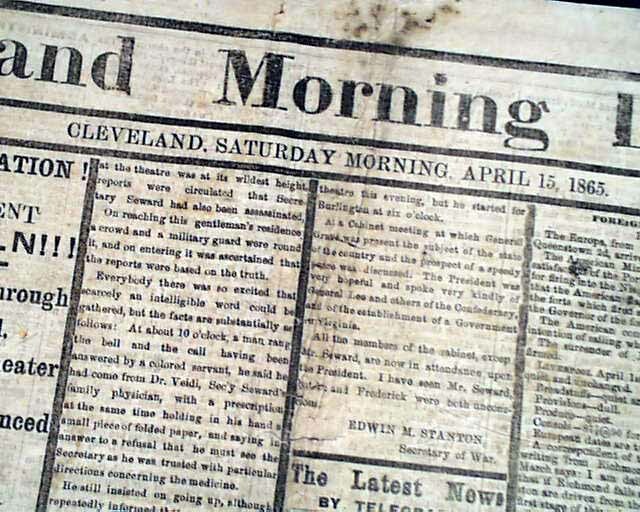 Home > Lincoln is assassinated... A first report... He is still alive ! The top of the front page has dramatic one column heads: "ASSASSINATION!" "Of PRESIDENT LINCOLN!!!" 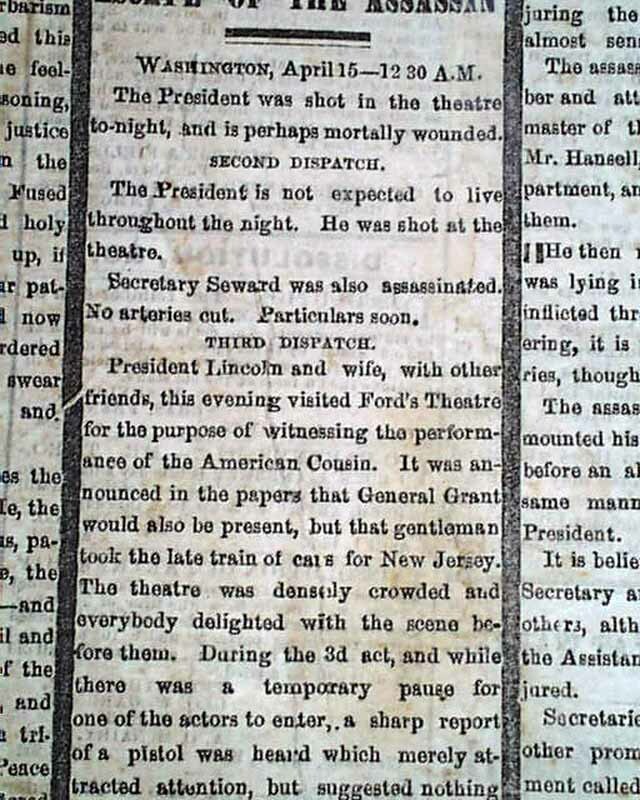 "He is Shot Through the Head While in the Theater" "Wound Pronounced Mortal!" 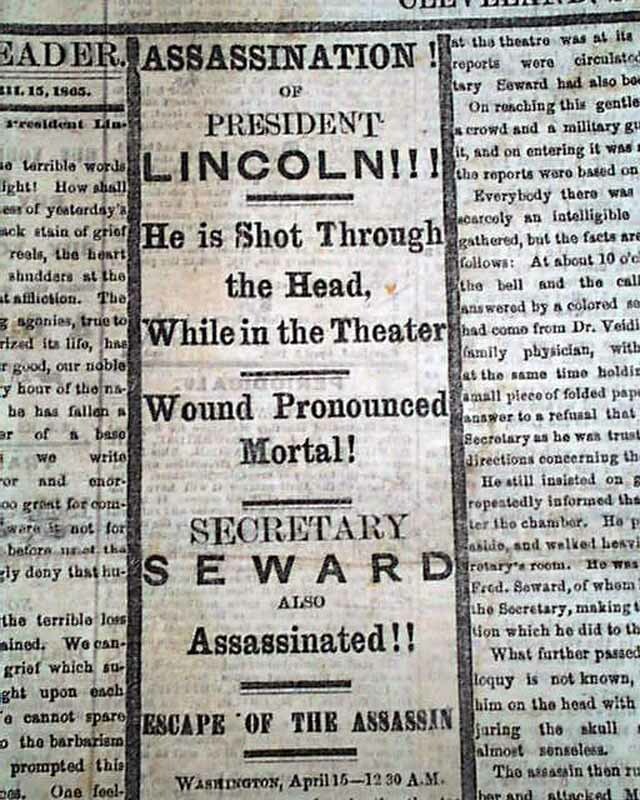 "Secretary SEWARD Also "Assassinated!" "Escape of the Assassin". 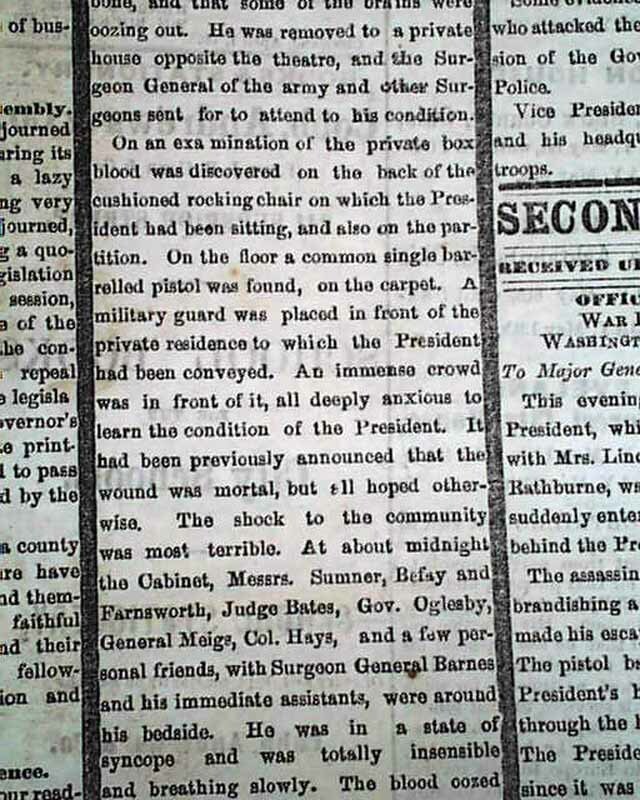 The front page has various dispatches, the 2nd of which notes: "The President is not expected to live throughout the night. He was shot at the theatre." 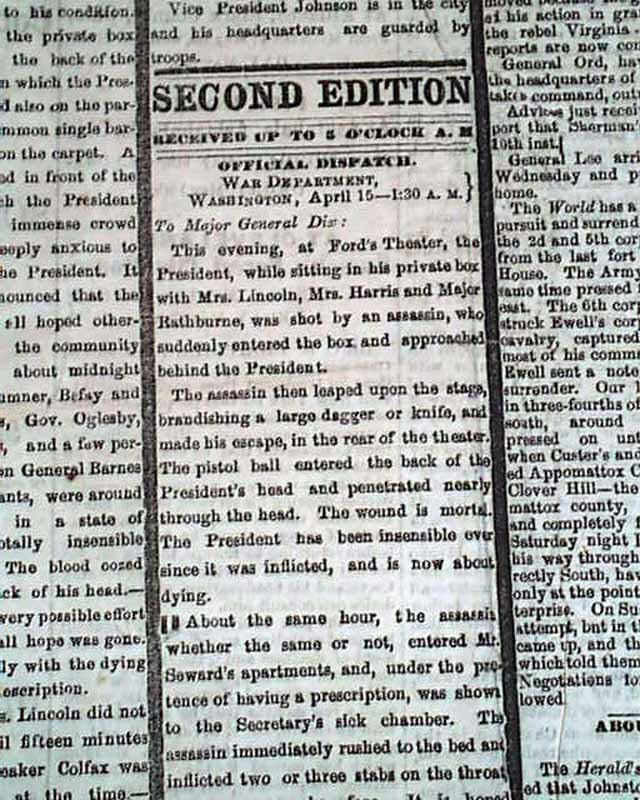 The 3rd dispatch has considerably more detail, including: "...a sharp report of a pistol was heard...a man rushed to the front of the President's box, waving a long dagger...exclaiming 'Sic semper tyrannis!' and immediately leaped from the box...to the stage beneath...it was found that the President had been shot through the head above & back of the temporal bone & that some of the brains were oozing out..." with much more. 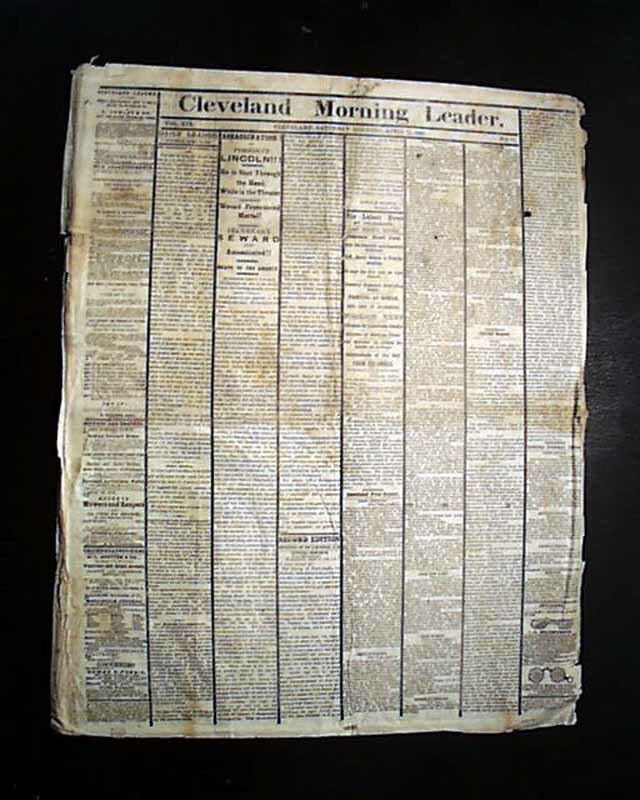 Further one are more timely reports dated 1:30 a.m. of the 15th headed "Second Edition" with more detail. 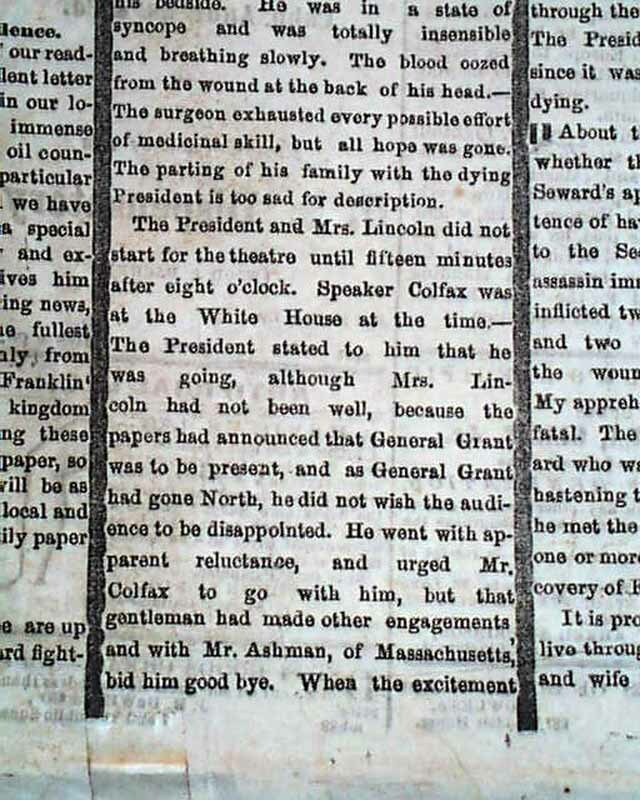 Of special note is that this edition was sufficiently early that the President was still alive at the time it went to press, not typically found with newspapers reporting the assassination. There is various light wear at the margins with some minor loss at margins but nothing affecting text. 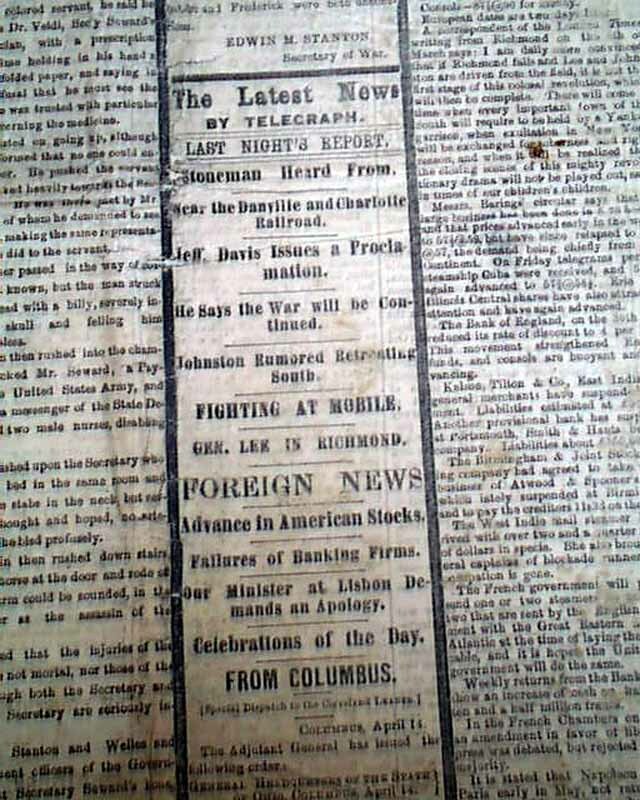 The top margin of the back leaf has a strip of mounting taped & some remnants of the mounting board upon which the issue was once displayed, not affecting any text. 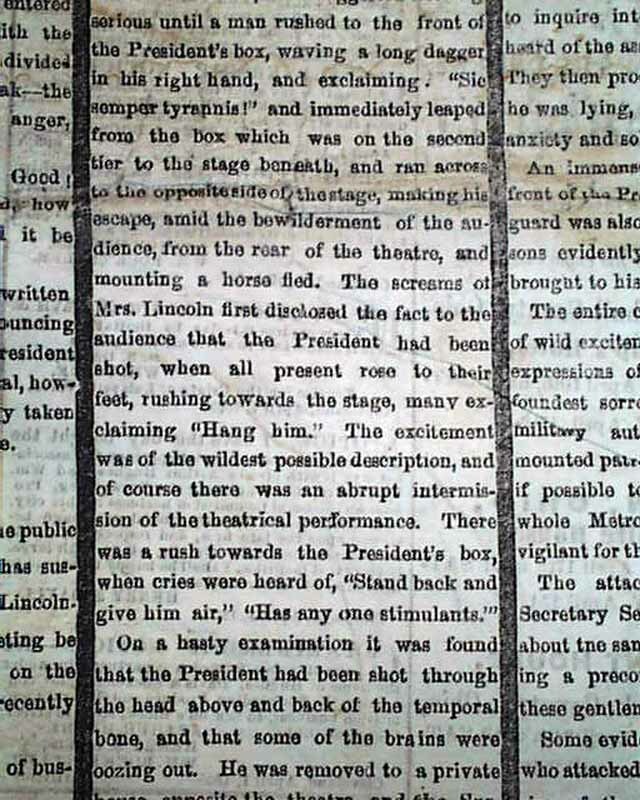 All columns on the front and back pages are black-bordered with "mourning rules" for the death of Lincoln.